Also see our guide to the Bluegrass Region! First Weekend in June: Don’t miss the Great American Brass Band Festival, Danville, Kentucky’s free, non-profit brass band extravaganza held annually! Imagine a lazy summer day on a picture-perfect college campus in a Norman Rockwell small town, listening to the world’s best brass band musicians playing patriotic tunes and favorite popular standards on three stages. Add to that four days of family fun rounding out a magical, musical experience consistently called the nation’s foremost festival of brass band music. Year after year, the Great American Brass Band Festival attracts more than 40,000 visitors from around the globe. Don’t miss out on the fun! Festivities begin on Thursday with an old-fashioned Chautauqua tea gathering. Festival highlights include: a balloon race; continuous music beginning Friday evening featuring over a dozen brass bands; a parade; a decorator picnic; fireworks extravaganza and !o much more! 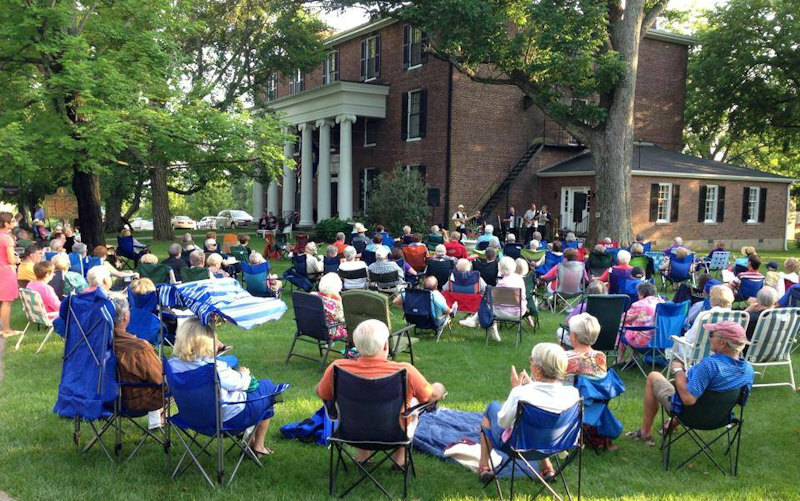 The Beaumont Inn will host the festival with an outdoor lawn concert on June 1 from 7:00-8:30 pm. Join us at the Inn for your Friday night Brass Band Festival experience. Go to the Great American Brass Band Festival website for a full schedule and more.